Heat Exchanger Training: How Do Heat Exchangers Work? Anymore, saving energy is an essential part of our day-to-day lives. With the threat of climate change becoming more real every day, most folks are constantly looking for ways to save more energy. While factories and industrial firms are never a great example of healthy energy practices they do have most of us beat in one specific sector: heat exchangers. Factory bosses have been installing heat exchangers to salvage the heat from waste gases and thus, the heat energy as well. Factories are hardly the model for this though, engines, ships and planes all effectively use similar heat exchange components to accomplish various efficiency goals. So what is a heat exchanger and how can the average, everyday person use it to their benefit in their quest for better energy efficiency? Let’s take a look. A heat exchange is a very simple process. It’s when something transfers the heat it holds to another thing. An example of this function is when you blow hot air on your hands to warms your fingers. Granted, it’s a generally ineffective heat exchange, but it’s still considered a heat exchange. A better example is a hot water heater which transfers the heat energy it’s producing into the water which pumps through your pipes and offers hot water for your shower. A heat exchanger is a device that allows us to better control this transfer of energy. It allows heat, generally from a liquid or gas, to pass to another liquid or gas without either gas and liquids having to mix together or come into any sort of direct contact. In a sense, the heat exchanger can isolate the heat alone from the initial hot liquid or gas and transfer it wherever it needs to go. While they’re obviously a cool device in theory, what’s the real use of these machines? How do they affect your energy efficiency? Surprise surprise, they’re mostly used in temperature control. One of the most common types of heat exchangers is a heat recovery ventilator which keeps your HVAC pushing fresh hot air throughout your house in the winter. While summer air always smells fresher, you might have access to the same fresh air, but warmed by using a heat recovery ventilation system. It functions by pushing the warm, stale air from your house out, and removing that heat as it leaves, it then transfers that heat to the fresh air it pulls from outside into your house. This saves your house from heat loss, improves your supply of fresh air and prevents your heater from working too hard. The best way to start offering your clients a more effective way to maintain the temperatures in their homes is to start offering heat exchangers. 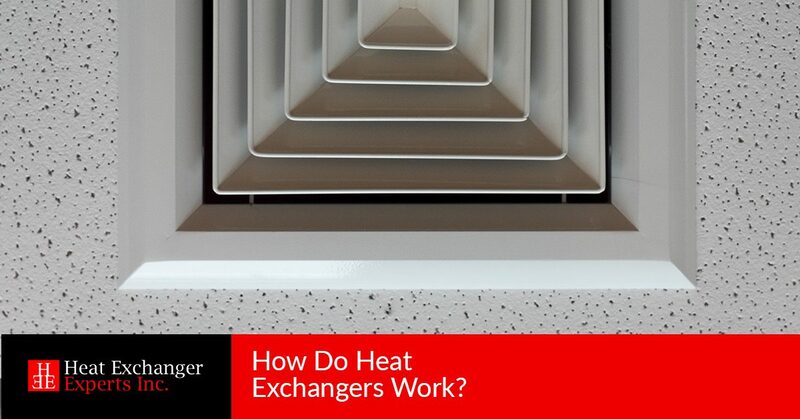 Heat Exchange Experts offers an excellent seminar on how to identify defects in heat exchangers as well as in newer high-efficiency furnaces and much more. Educate yourself, or re-educate yourself, in the many ways that heat exchangers are can benefit your clients and your business’s bottom line.